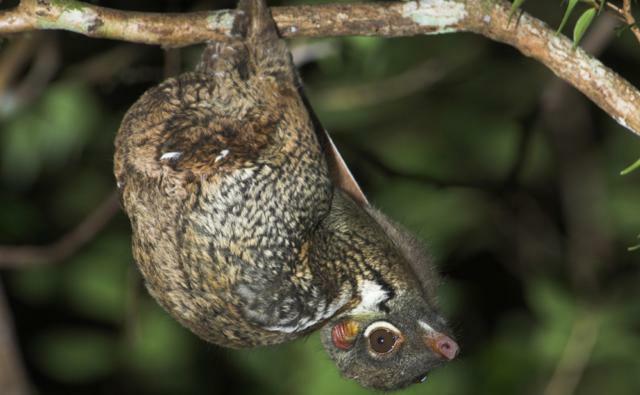 Contrary to its name, the flying lemur, or the colugo does not fly, and is not a part of the lemur family as it is actually not part of the primate family. They instead glide, and have been historically considered as being close to the ancestors of bats. They have however, recently been considered by some as the closest living relatives of primates. The flying lemur is generally between 35 to 40 centimeters in length, and weighs between 2 to 4.5 pounds and makes its home in the mangroves and rainforests of Southeast Asia. which extends between their front and back limbs. The patagium of the flying lemur extends in a shape that allows for the largest geometric surface area possible. Unlike most gliding mammals the colugo also has webbed fingers and toes, in addition to its patagium to increase the surface area, which helps them produce more lift, and in turn stay in the air for longer periods of time. While the colugo is not very capable when it comes to climbing trees, they are very much so when it comes to gliding. The flying lemur is so efficient at gliding that it only loses one meter in heights for every 12 meters traveled horizontally. The flying lemur uses its ability to glide for two main reasons. The first is to escape from predators, where a quick escape is necessary for survival. If in danger, the colugo, or flying lemur will take to the air, and glide away to safety. The colugo also uses its ability to glide to get from tree to tree when looking for food with minimal effort. This is result of their diet, as it consists of nutrient poor leaves. 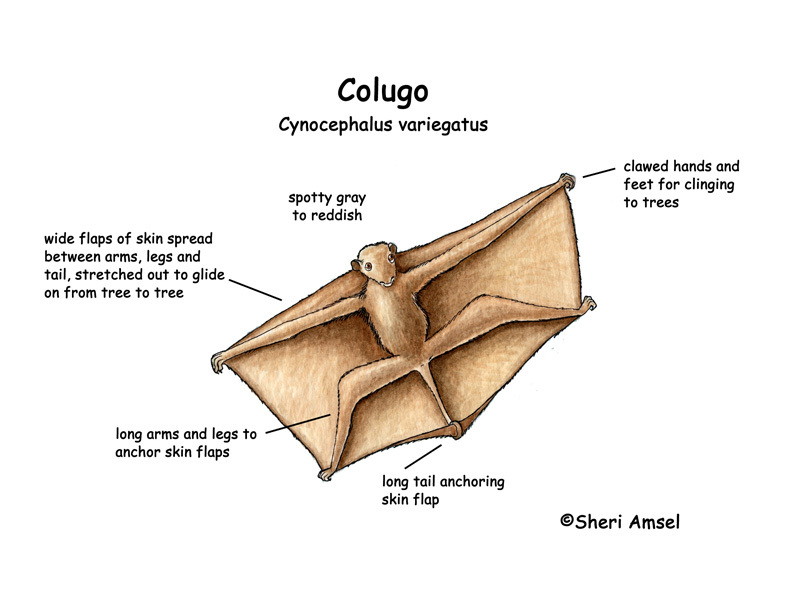 Because of the colugo’s ability to glide efficiently, some researchers claim that a study of colugo flight can indeed improve the design of hang gliders and micro air vehicles. That’s amazing that the colugo has evolved to have the maximum surface area possible with it stretching from tip to tip to have the most lift! I never knew that it was possible!